Fermented Foods….SO much focus on it at the moment so I’m going to endeavour to incorporate daily. Cheapest and best pro-biotic you’ll find. Sauerkraut is great…but I’m not the biggest cabbage fan…so I’m trying fermented beetroot…just a small batch for a trial. 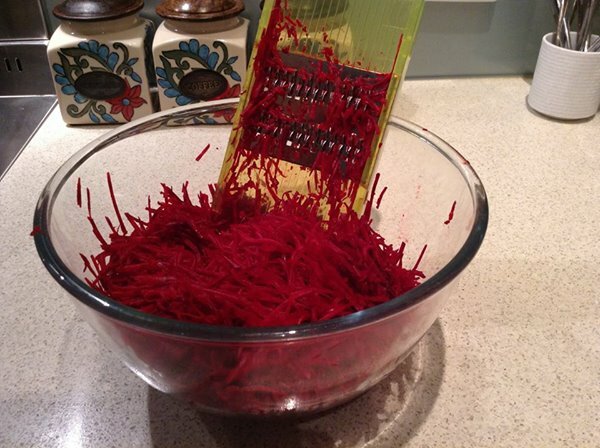 – Optional step…stir gently for about 8 minutes in food processor, thermomix…whatever device. This begins extraction of natural juices but not essential. 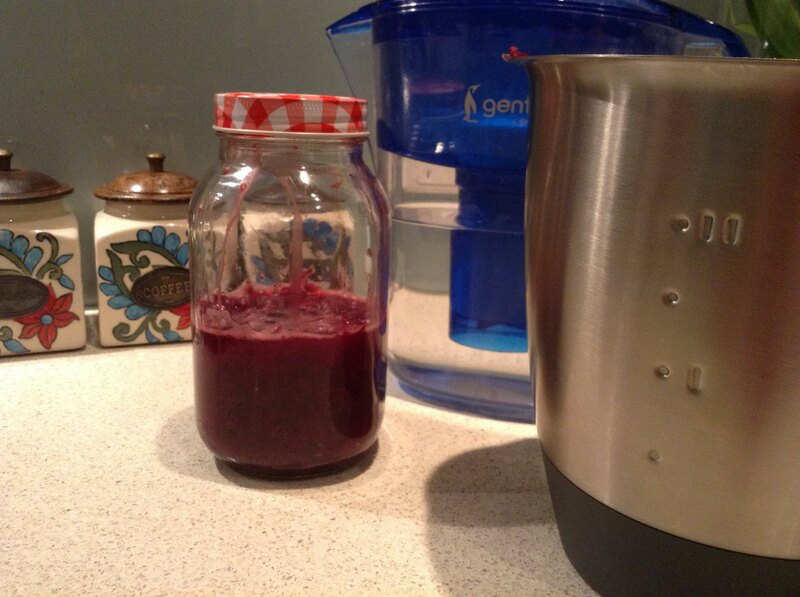 – The beetroot or vegetable must have 1cm water over top. From what I’ve read this is the process with any vege or combo you want to ferment …have a Google, I’m no expert, just sharing the idea and hoping I inspire someone! Lower Your Salt Intake? Fugetaboutit! Folks, I have written to you many times about the benefits of unrefined salt. Human beings are designed to desire and utilize salt on a daily basis. We can’t live without salt. Remember, we have no stores of salt in our bodies. Either we ingest adequate amounts of salt on a daily basis or we become salt deficient. Salt deficiency can manifest many ways but common symptoms of salt deficiency include muscle cramps (especially in the feet and legs), fatigue, headaches, and brain fog. Let’s get a few salt numbers straight. The Powers-That-Be, including the American Heart Association and the Academy of Nutrition and Dietetics would have us all believe that we should limit salt in our diet. In fact, the current recommendations for salt state that we should have a maximum sodium intake of 1.5 to 2.4 grams per day (which is the equivalent of 1/4 to just over 1/3 of a teaspoon of salt). Finally, it is important to note that most of the world ingests between 3 and 6 grams of sodium per day (or 1/2 to 1 teaspoon of salt). A new article in the New England Journal of Medicine (August 14, 2014) studied the sodium levels in 101,945 persons from 17 countries. The scientists examined the association between sodium excretion and the outcome of death and major cardiovascular events. Sodium excretion correlates directly with sodium ingestion. Over a mean follow-up of 3.7 years, the authors found that those with the lowest sodium excretion (less than 3 grams of sodium per day or ½ teaspoon of salt) had the highest rate of death or cardiovascular events—4.3%. Those who excreted 3-4 grams per day (just over ½ teaspoon of salt) had a cardiovascular incident rate of 3.1%–28% lower than the lowest salt-ingesting group. In fact, those who ingested more sodium, including the highest group (>7 grams per day or over 1 teaspoon of salt) had a 24% lowered death or cardiovascular event rate when compared to the lowest group (the incident rate in the highest group—7 grams per day–was 3.3%). This article is another in a long-line of salt articles debunking the myth that we need to lower our salt intake. I have tested thousands of patients for their salt levels. I can assure you that the vast majority of patients are low in salt. Salt is a vital, essential substance that we cannot live without. Low-salt diets do not lower the blood pressure for the vast majority of individuals. In fact, low salt diets are detrimental to most as shown in this study. Although this study did not focus on the difference between refined and unrefined salt, there is a big difference between the two. Unrefined salt has over 80 essential minerals in it while refined salt contains zero minerals. Unrefined salt does not have toxic chemicals added it, unlike refined salt which includes ferrocyanide in the end product. Unrefined salt should be the salt of choice. Generally I recommend ingesting at least a teaspoon of unrefined salt per day. Good brands of unrefined salt include Selena’s Celtic Brand Sea Salt, Redmond’s Real Salt, and Himalayan sea salt. I have personally tested all three brands and found them to be high in minerals and free of heavy metals. The take home message: Salt is an essential nutrient for the human body. We cannot live without it. It does not make physiologic, biochemical, nor common sense to recommend limiting a populations’ salt intake to less than ½ teaspoon of salt. In fact, limiting salt intake to these levels will increase the morbidity and mortality rate. Should you lower your salt intake to control blood pressure? Fugetaboutit.